It's no longer new in 2019 that people no buy a standalone camera but instead they prefer to buy a good camera smartphone to keep their memories alive. I believe you are one of those that like a quality camera and that is why you are here. With a good and quality camera phone, you can now produce a professional shot and video footage of a ridiculously high standard. So if you are looking for a quality snapper and don't need a camera, then you can choose an affordable smartphone from this list. All the phones listed here are phones that we have reviewed and have seen that the quality of the camera it offers is exceptional. In 2019, Smartphone makers have improved the quality of their products to make sure it stands out. The price is completely different, some are expensive while others at an affordable price, but be sure that any device that makes it to this has an exceptional camera quality and they can't e left out. Tecno Camon 11 Pro is a camera monster smartphone with powerful features, but the device is quite expensive. 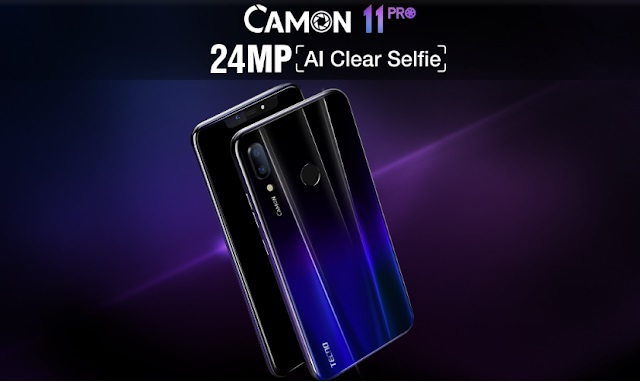 The Camon 11 Pro features 24MP Front Camera with Flash and at the Back (Rear) features a dual 16MP+ 5MP. The device camera is powered by an AI (Artificial Intelligence) technology to provide a standard and quality image that you will crave for. Frankly speaking, we were surprised by the feature of this device when it was launched last year. The Tecno Camon 11 Pro is proven to be a smartphone that broke many features we expected in other high premium smartphones like Samsung, LG, Huawei, and others. The combination of 24MP, 16MP, and 5MP shooters combines powerfully with excellent image processing, noise reduction, and superzoom features making the Camon 11 Pro's overall photo taking prowess something very special. 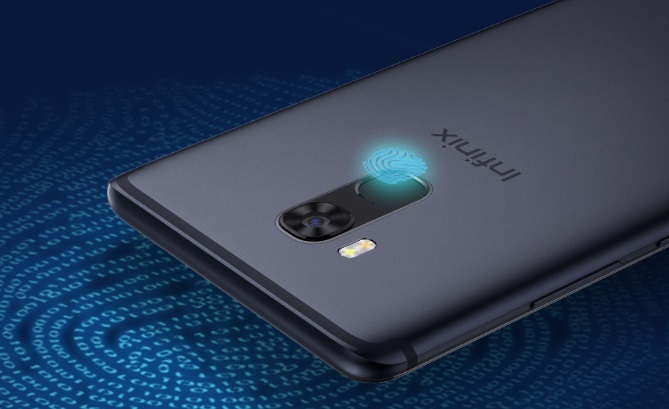 Infinix Zero 5 Pro, the performance monster smartphone. After the successful launch of the Infinix Zero 4 and Zero 4 Pro, the Infinix Zero 5 Pro comes with a stylish look and grip well in the hand. The colors are vivid and the display has good viewing capability even at extreme angles. 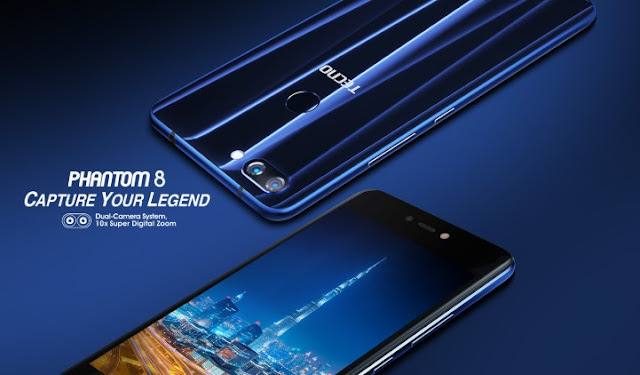 The device puts a special focus on its camera, the rear camera is a dual camera setup which is a combination of 12MP Wide Angle and 13MP Telephoto lens which has f2.0 aperture with 2x optical zoom and 10x digital zoom. The camera supports various mode like portrait, panorama, professional and more. The front camera of Infinix Zero 5 Pro is a 16MP shooter with front flash and supports bokeh mode, the front camera also delivers well and clicks clear selfies with good colour reproductions. Both the front and rear camera support video up to 1080p but the video as well struggle a bit in the low light condition. The rear camera in Infinix Zero 5 supports OIS which works perfectly fine. Also, it has a 5.98-inch Full HD display which is protected by a 2.5D Corning Gorilla Glass 3 protection. The colours are vivid and the display has good viewing capability even at extreme angles. On the design side, Infinix Zero 5 Pro has a unibody metal design which looks sturdy and stable. The performance of the Zero 5 is enhanced with 6GB of RAM, that makes multitasking a breeze. It has internal storage of 128GB which can be expanded with a dedicated micro SD card. The device supports 4G LTE and it's expensive compared to other devices. Check it out on Jumia Nigeria. 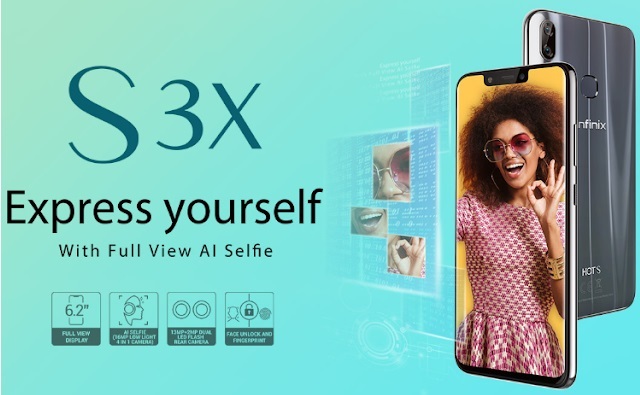 The Infinix Hot S3X features a 16MP ultra sensor selfie camera with Artificial Intelligence Technology that enables the device to detect your gender and facial expression. While at the back is a dual 13MP and 2MP back camera for portrait mode that can fully capture the depth of your surrounding. The 2MP focus only on the distance between you and the camera to give you a balanced camera. If you are the kind that enjoys taking pictures and doesn't have enough money to spend, then this is a nice smartphone for you. This is a middle range cheap priced device with a good camera. The Hot S3X is packed with a 4000mAh battery to give you enough time to enjoy the device. Coupled with a 2A fast charge that provides a rapid recharge when the device is down. It also supports a 4G LTE connectivity, 4GB Ram and a 32GB internal storage that can be expandable using MicroSD card. See full Review here. This Phantom 8, instead of a single rear camera, has two. A 12MP Sony wide-angle sensor and a 13MP telephoto sensor. With the former recording depth of field and the latter imaging based on the data. It has a 20MP front-facing selfie camera. The two powerful shooters on Phantom 8 work together to add new elements to your photo album. With 10x super digital zoom, you can now get clear close-up photos and even better detailed images. Phantom8 nails low-light selfie easily. Because it is designed to do so. 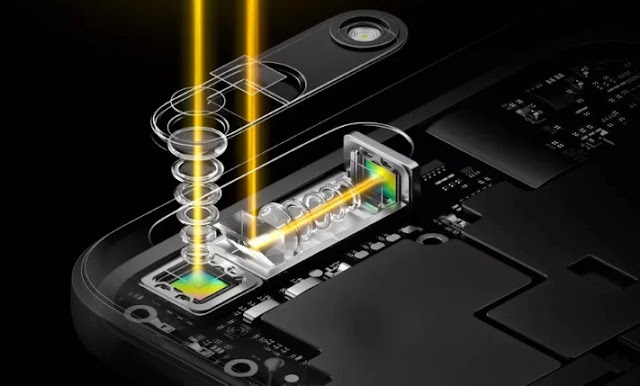 The ultra pixel enables the phone to take a selfie with a 2.0μm pixel effect. Pairing with a large F/2.0 aperture, it ensures more light onto the lens. Using “4 in 1” technology, which means four times of light allowance for an individual pixel sensor and an individual image. As a result, the final image is much brighter. Additionally, it has a 6GB RAM, 4G LTE, 64GB Internal Storage that can be expandable using MicroSD card. Although the battery capacity is not that much, 3500mAh but supports a Type-C Light Speed Charge. Tecno Camon X Pro made a serious wave when it was first launched because of its camera quality. 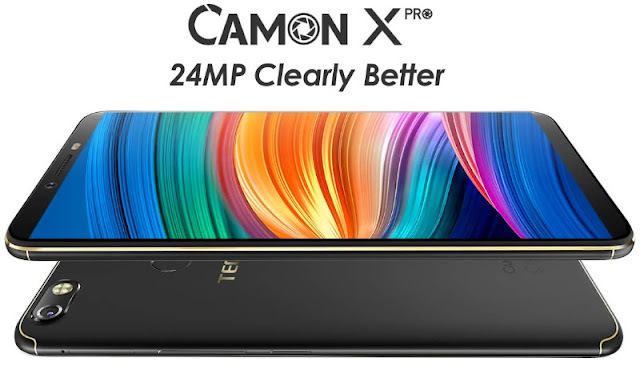 The Camon X Pro utilizes a powerful 24MP selfie camera with dual brightness-adjustable flash, allowing you to take crisp selfies with brightness. At the back is a 16MP Rear Camera with Ring Flash. The device is powered by Tecno's own advanced imaging algorithm, as much as 108 invisible dots are projected onto your face to highlight the exquisite contour on your face and present the most natural selfies. It allows you to capture bokeh effect selfies despite only having one lens. Camon X Pro gives you the power to create amazing selfies or groupies with sharp foregrounds and artfully blurred backgrounds and exploiting the bokeh effect. Also, the implementation of the dual image processor makes the image processing of each selfie very fast in both speed and efficiency. It features a beautiful design body of 6.0 inches with an IPS LCD Touch display. An IPS display which has 1080 by 2160 resolution, making the pixel density of the device a respectable 402 pixels per inch. This device measures a dimension of 157.95mm x 75.2mm x 5.2mm, a full-screen display with a 75% screen to body ratio. The Infinix Note 5 Stylus provides a whole new experience for photo lovers. The Note 5 Stylus has a Rear camera that captures more light with its 16MP back camera with an f/1.8 aperture at a very high speed with Multiple Scene Recognition capacity. At the from is also a 16MP front-facing camera with f/2.0 aperture. The smartphones using Intelligence Technology to deliver quality pictures at any time of the day, even in the dark. While it offers a decent camera and displays with internals that are not really quite the powerful type. 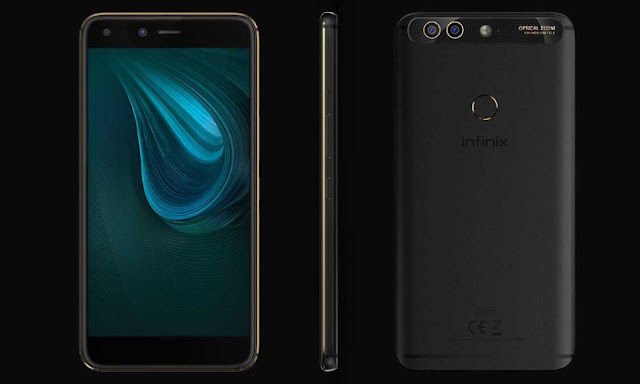 There’s a typical Infinix build although with evolution into the modern 18:9 aspect ratio and with more bezel reduction to fit in a bigger display. Covered by a polished metal, the smartphone looks and feel sturdy in the hand. The rear camera and fingerprint sensor are housed in the same space that remains black in all three different colour options. There is the stylus too which is housed at the side of the smartphone. The device has fast internet connectivity powered with 4G LTE and has a powerful long-lasting 4000mAh battery that supports a fast charge, a 4GB Ram and a 32GB Internal Storage that can be expandable using MicroSD Card up to 128GB. Read the full review here.